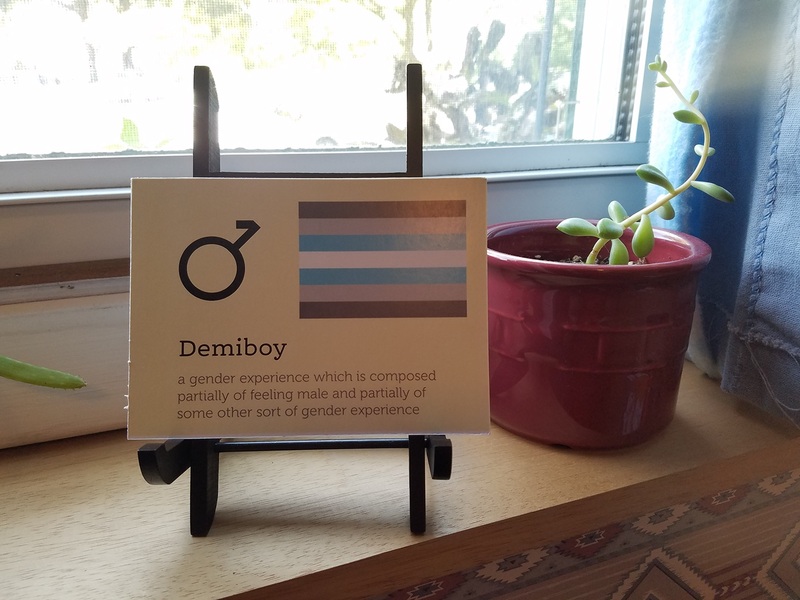 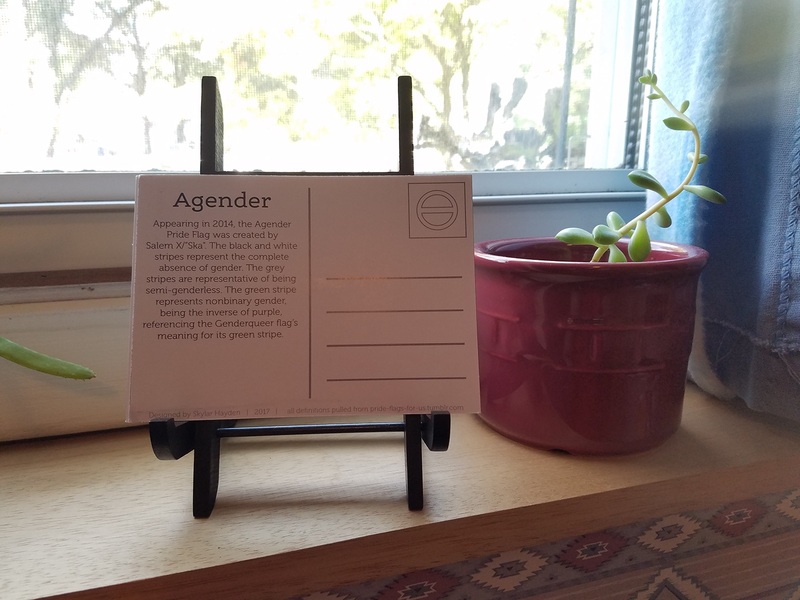 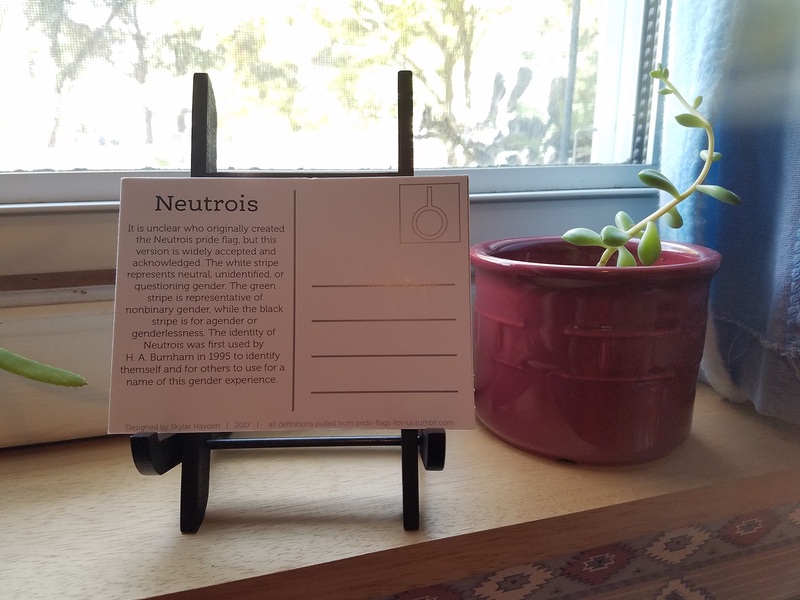 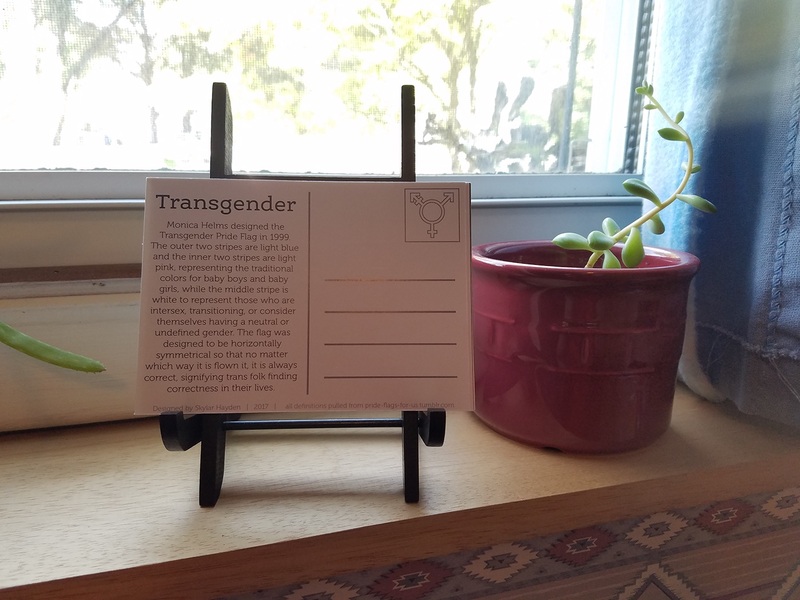 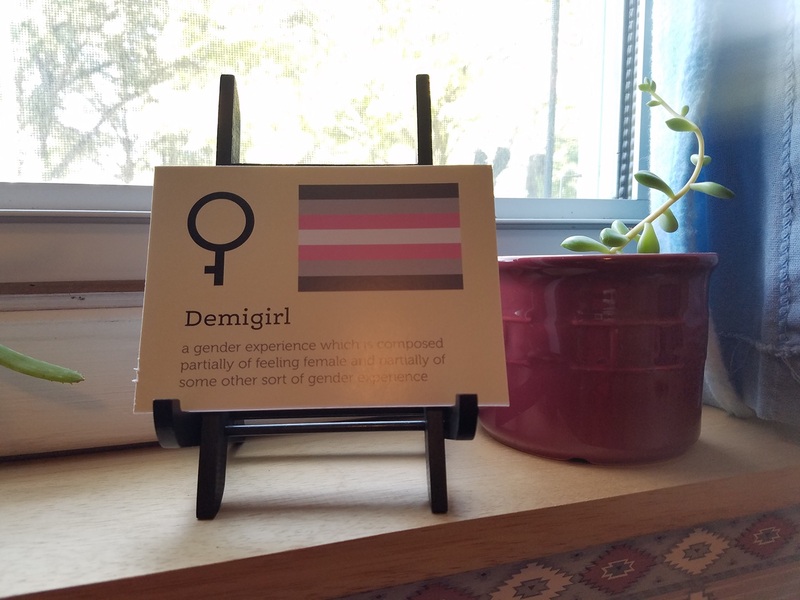 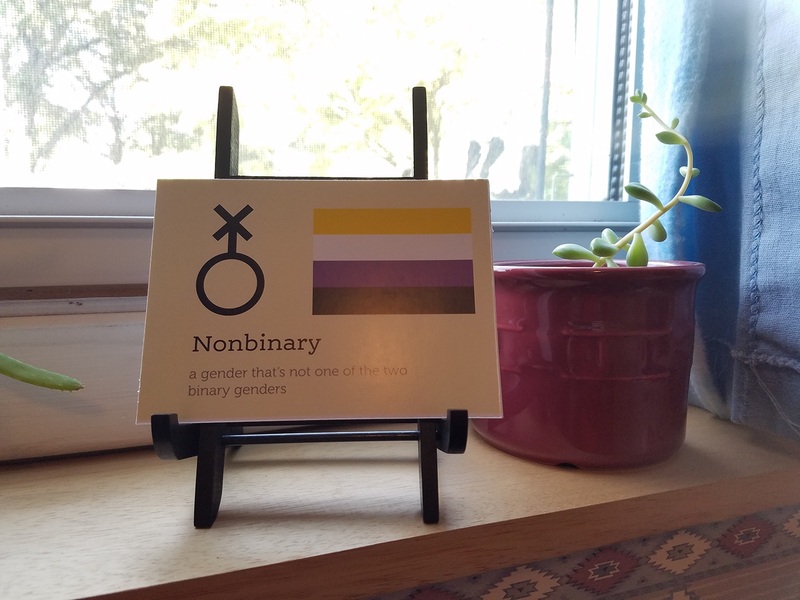 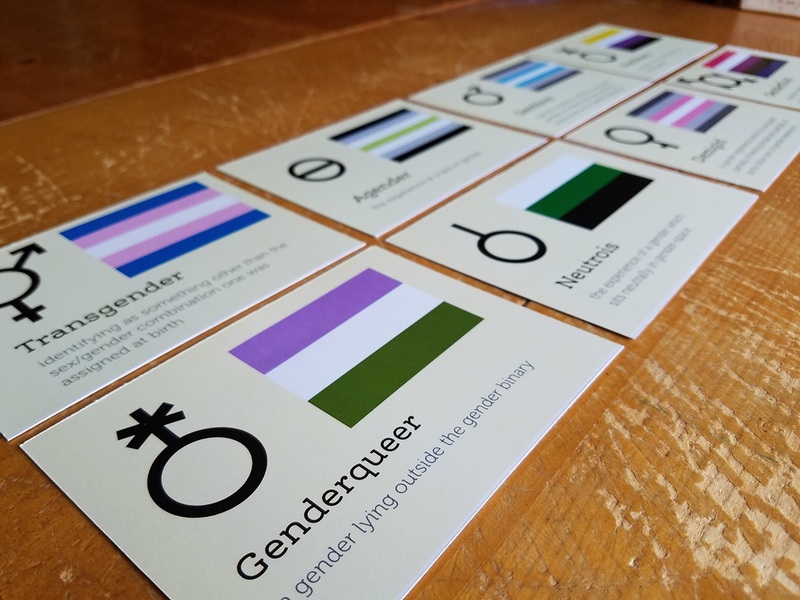 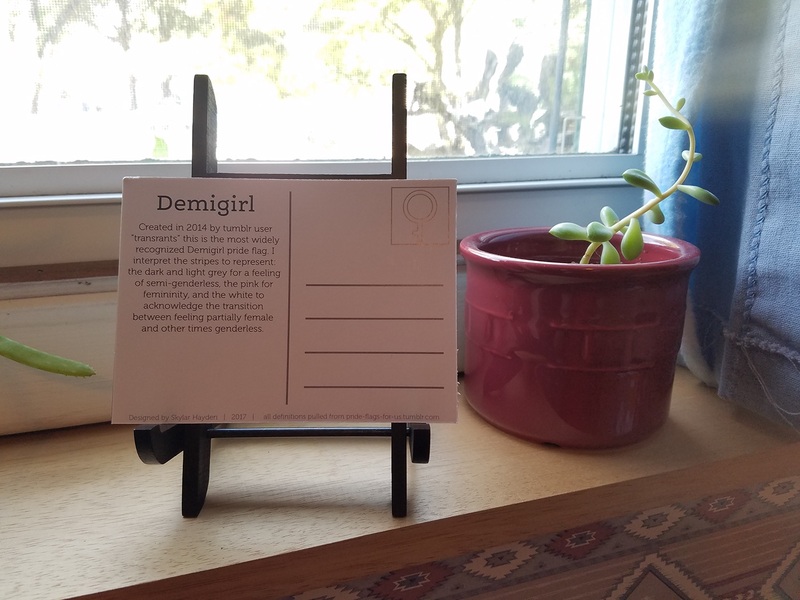 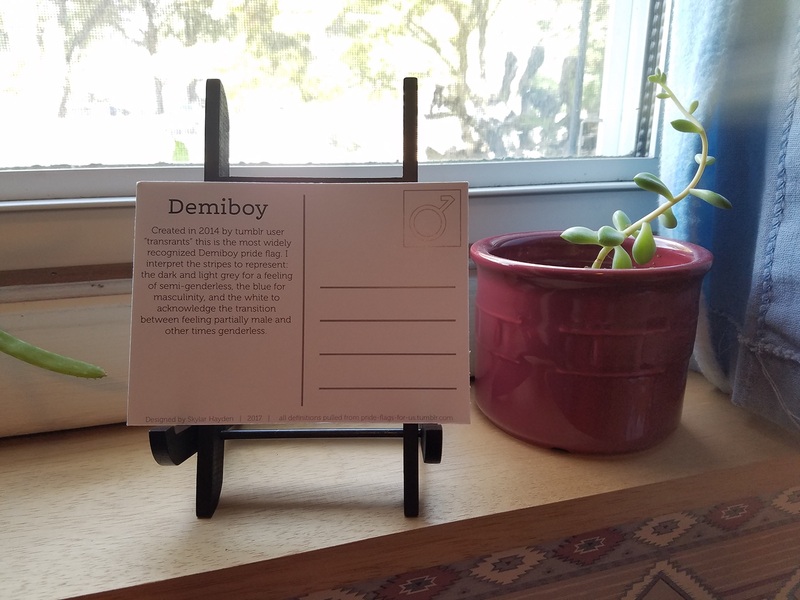 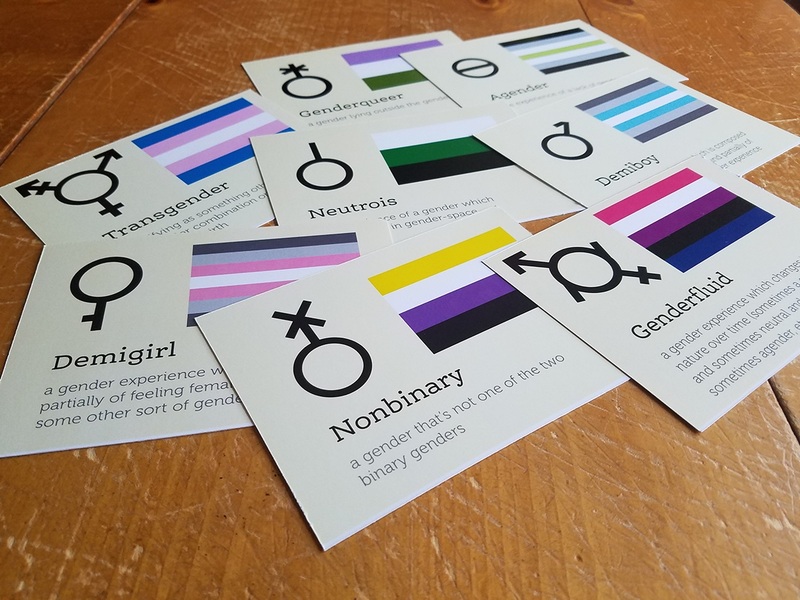 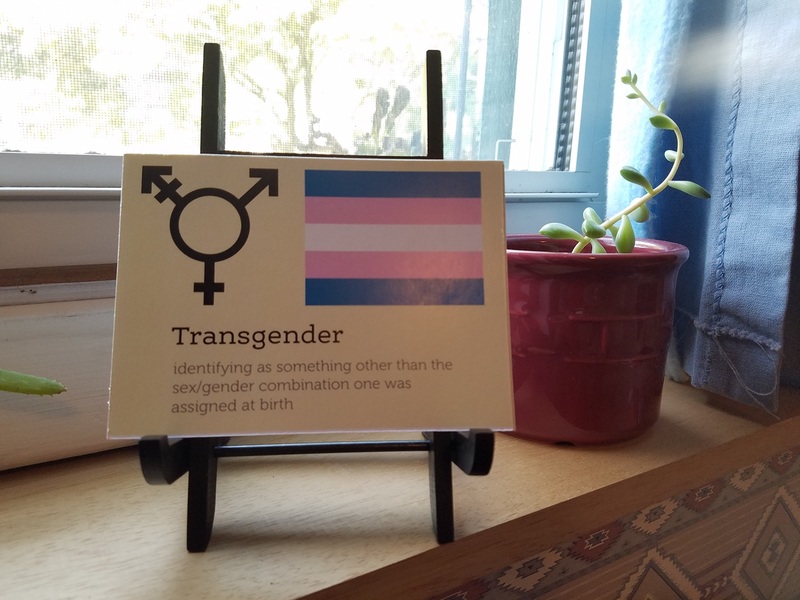 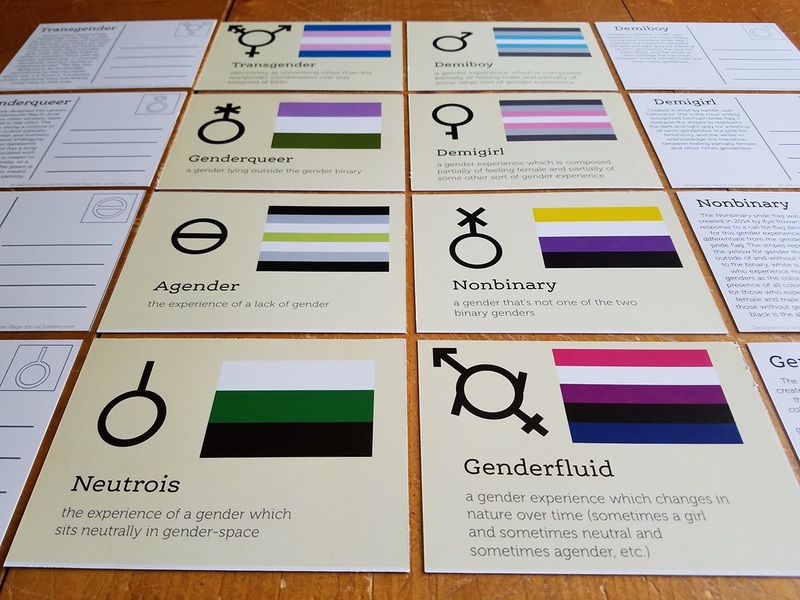 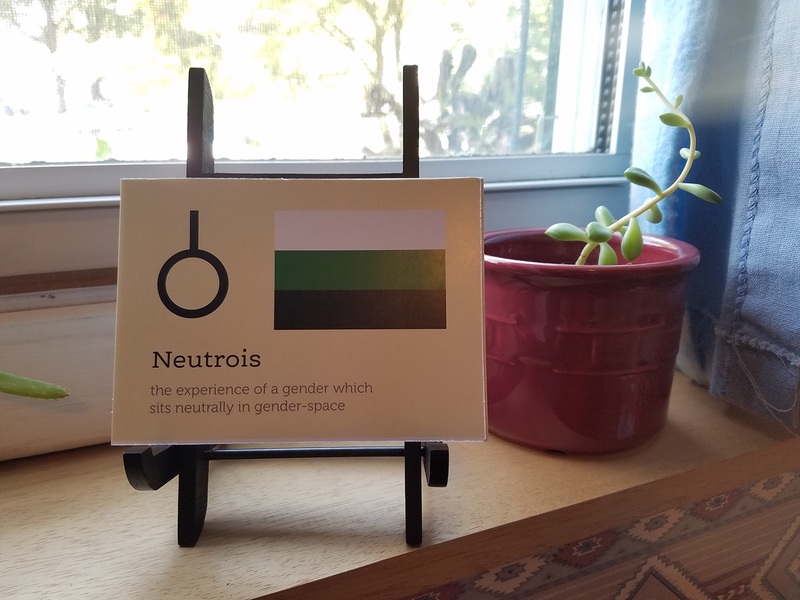 This postcard set evolved from a previous project where I created a poster of Gender Identities, with a definition, pride flag, and gender symbol. Someone had suggested the content might translate well into postcards, so I gave it a try and completely agree. 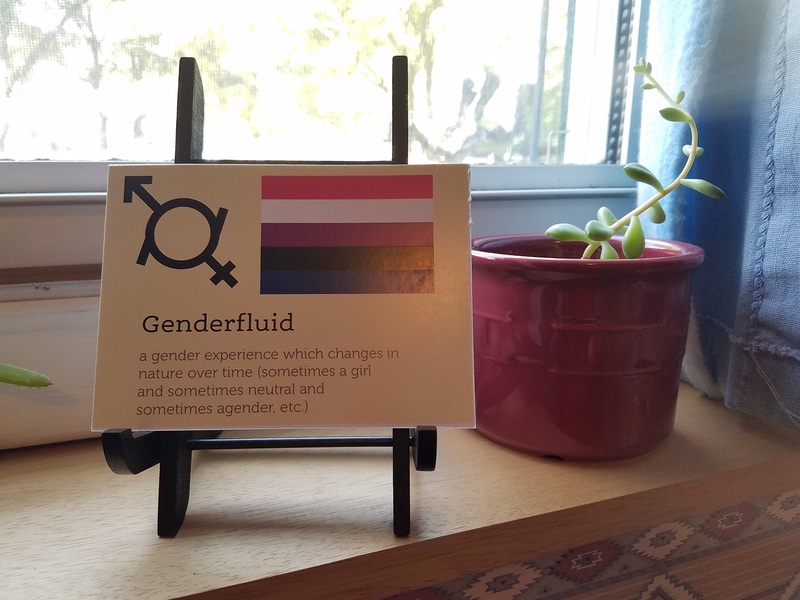 What I really enjoyed appreciated about this format for the information was that it gave me a chance to add a brief bit of history about the pride flag and what the colors originally represented. 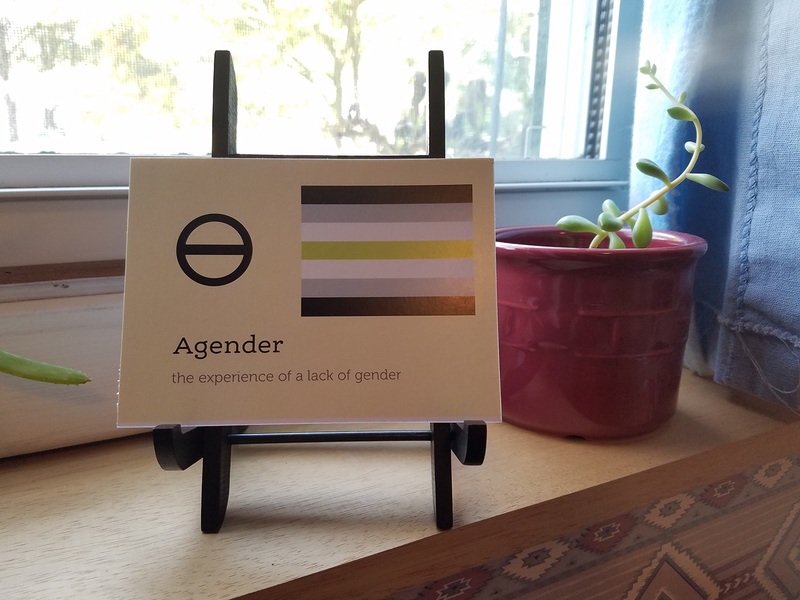 I am currently selling a few copies of the postcard set on Etsy. 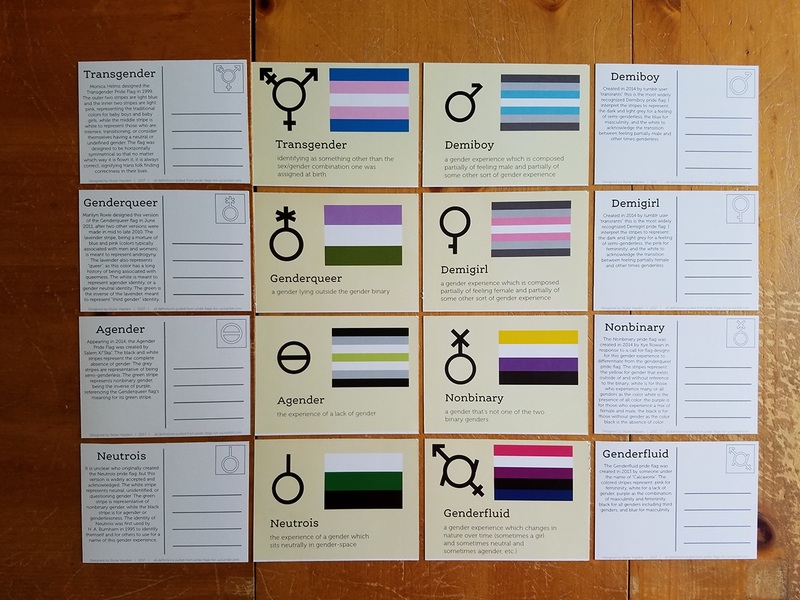 Gender Identity Postcard Set 2017 This postcard set evolved from a previous project where I created a poster of Gender Identities, with a definition, pride flag, and gender symbol. 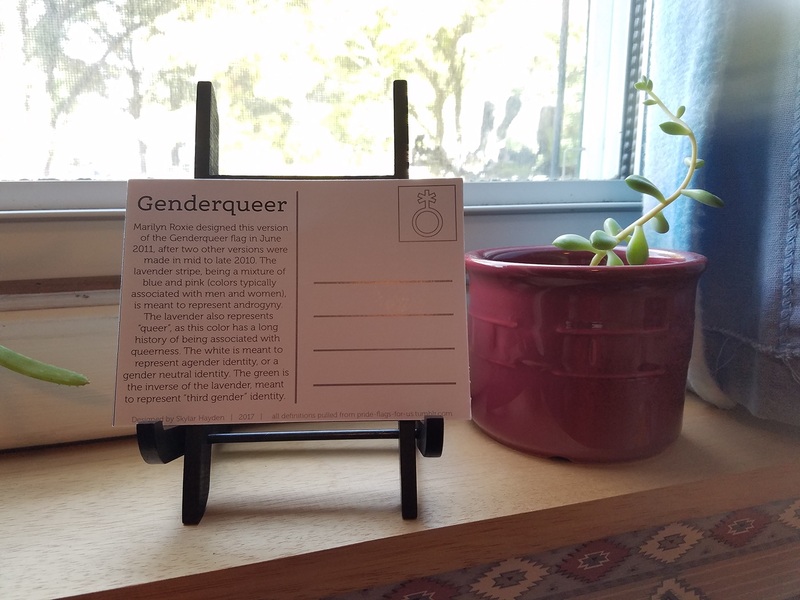 Someone had suggested the content might translate well into postcards, so I gave it a try and completely agree. 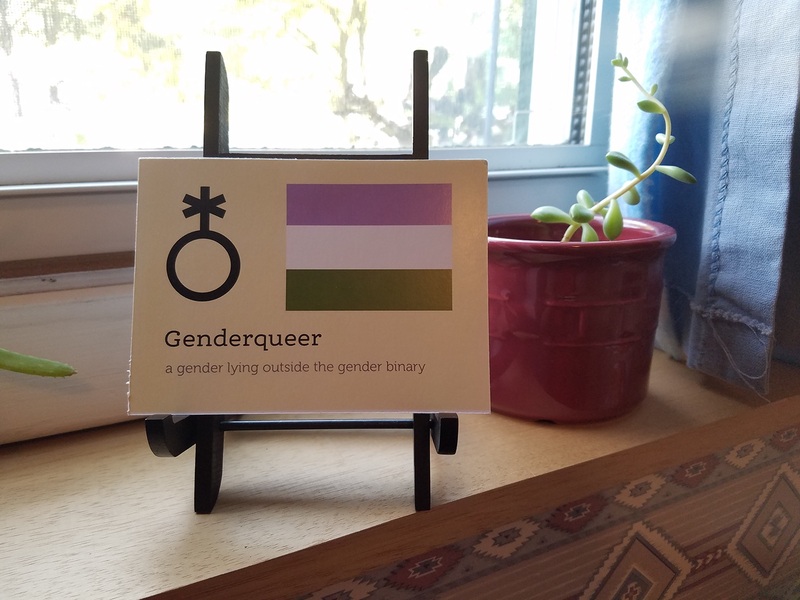 What I really enjoyed appreciated about this format for the information was that it gave me a chance to add a brief bit of history about the pride flag and what the colors originally represented. 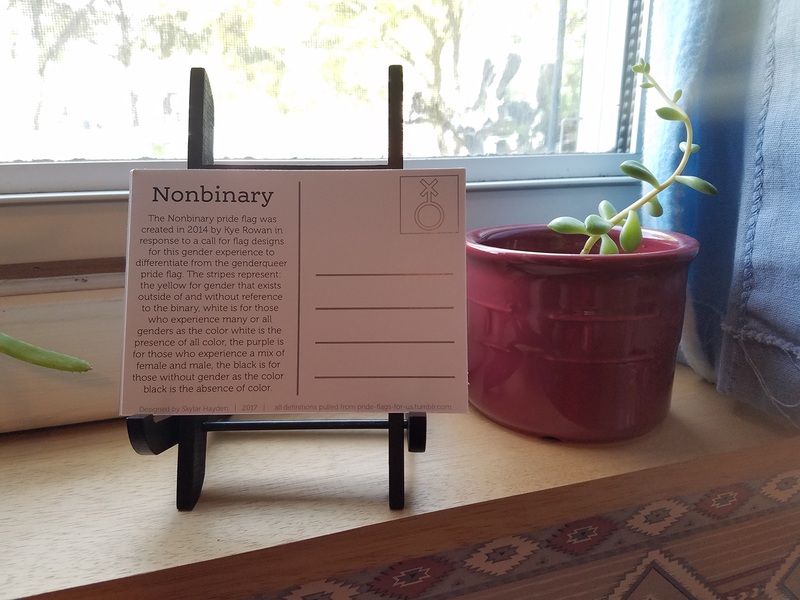 I am currently selling a few copies of the postcard set on Etsy.